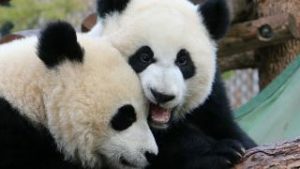 There’s so much to do at the Calgary Zoo during the holidays! On November 25, when we flick on the switch to ZOOLIGHTS presented by JSS Barristers, the grounds will be transformed into a twinkling wonderland for the entire family – until January 8, 2017. 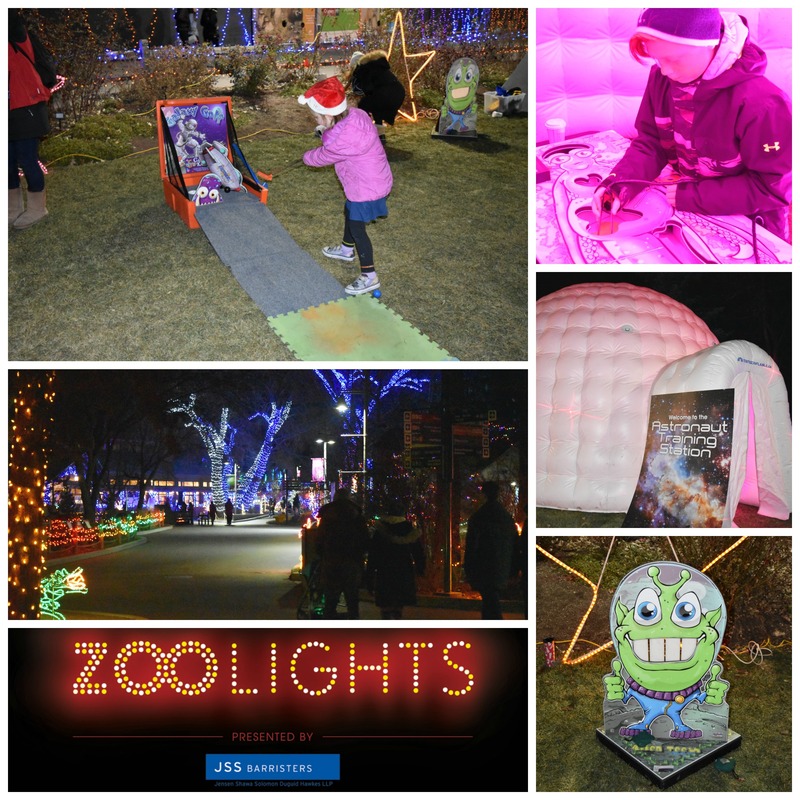 ZOOLIGHTS has become a top holiday tradition for families, and for more than the 120,000 people who attend its five-week run! There is an activity for everyone. #1: The holiday season often doesn’t feel complete without a visit to Santa! Stop by for a FREE chat with the jolly man in red in the ENMAX Convervatory and snap that perfect seasonal picture to share. Santa will be visiting nightly from Nov. 25-Dec. 23. #2: No matter the temperature outside, ice skating is always a thrill. This year we’ve maximized the fun at the Mahogany Lakeside Living skating rink by adding a DJ on Friday and Saturday nights, so your skating party can double for a dance party! Remember, skate rentals are FREE at the KidSport Calgary Skate Shack. It’s not just a skating party- it can become a dance party on Fridays and Saturdays! #3: The ENMAX Conservatory has been transformed… into ZOOVILLE!! 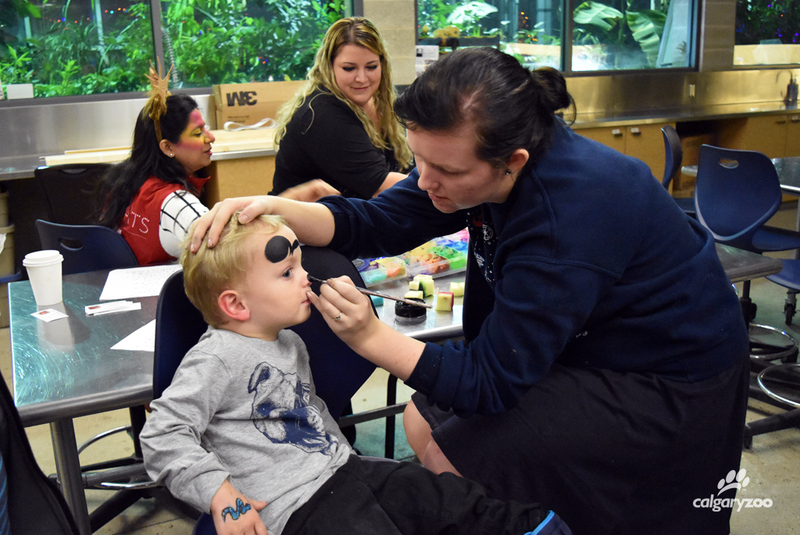 There is so much to explore, like silly photo stations, a burst of bright decorations, and the ZOOVILLE Salon for face painting and costumes. You might even come across a roaming Mr. Grinch every Thursday! If the little ones need a break from the excitement, catch storytime in the corner in the butterfly gardens and take a moment to relax and soak in the whimsical ZOOVILLE décor. 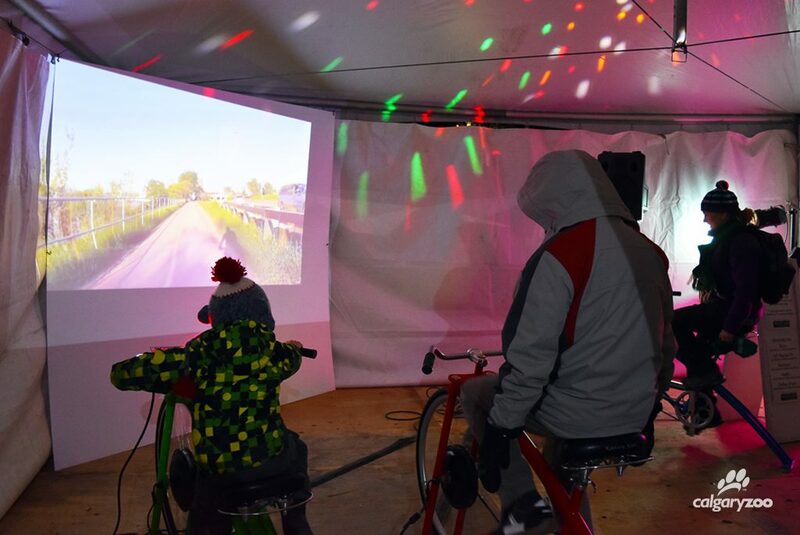 #4: Burn off some energy at Pedal Power! Take a virtual tour of the great biking paths here in Calgary with our pedal powered activity. Located outside in the ENMAX Gardens, this activity demonstrates how much power is needed for everyday items- and is a learning moment about the importance of energy conservation. Bike through Calgary on Pedal Power! Education for energy conservation has never been so fun. #5: Take your nightly adventure out to space! A group of games are ready to be conquered in the Astronaut Training Station and the Alien Arcade. Train your fine motor skills while conducting an alien autopsy (like the classic ‘Operation’ game). 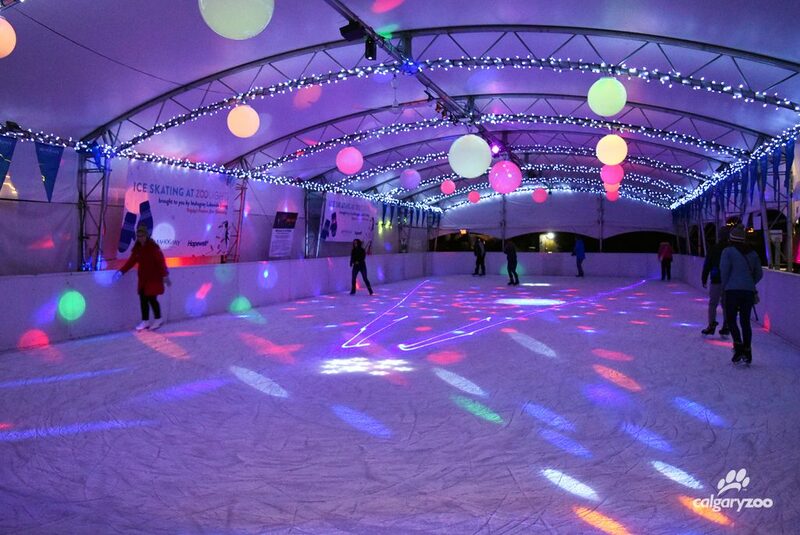 Outside of the training station and the skating rink, families will have galaxy-sized fun playing various space themed games. Train your inner astronaut and have galaxy-sized fun playing various space themed games. NEW! If you stop by ZOOLIGHTS and don’t know what to visit first, check out our greeter station, found when first exiting the tunnel. Our greeters will help you plan your perfect night- and are taking donations for the Calgary Food Bank! Join in on a classic Calgary winter tradition and make the holiday season bright. ZOOLIGHTS runs nightly (6-9 p.m.) from November 25 – January 8, 2017. Entrance is through the North Gate only. General admission (16 years and up): $14.99 (plus GST). Children (3-15 years old): $11.99 (plus GST). Parking is available in the North lots for $7. Tickets are available at the gate or beat the crowd by purchasing tickets online.